Mark de Grasse is the owner of MegaMad Industries. Family man, entrepreneur, and teacher. His goal is to help you find out what's possible. Mark de Grasse is a serial entrepreneur that specializes in growing small businesses online. Early in his career he learned that the creative and technical talent necessary to get online is prohibitively expensive for most entrepreneurs. For that reason, he taught himself to build and manage online companies himself. Mark de Grasse is a former Chief Executive of Onnit Labs, one of the original founders of the Onnit Academy. He is also the founder and editor of My Mad Methods Magazine (now Onnit Academy Magazine), a publication dedicated to unconventional training methods since 2010. With a primary goal of bringing the greatest amount of people to an optimal “functional” standard, Mark has dedicated years of his life to networking with coaches and trainers who are willing to step outside the box when it comes to fitness. Working with hundreds of fitness professionals around the world, Mark collects their knowledge in the form of articles, pictures, and videos, and organizes them to make the greatest global impact. He is the editor, graphic designer, writer, and photographer of the publication. 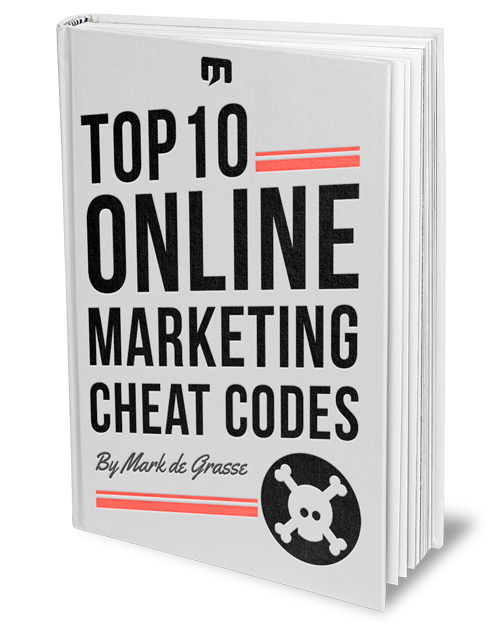 After leaving Onnit, Mark wrote and published a marketing book called “Unconventional Marketing for Fitness Professionals.” In it he outlined exactly how he managed to build and sell his company My Mad Methods using nothing but organic marketing methods, including email, social media, and content marketing.